As you know, I've been discussing a series of movie adaptations of Peter B. Kyne's story. 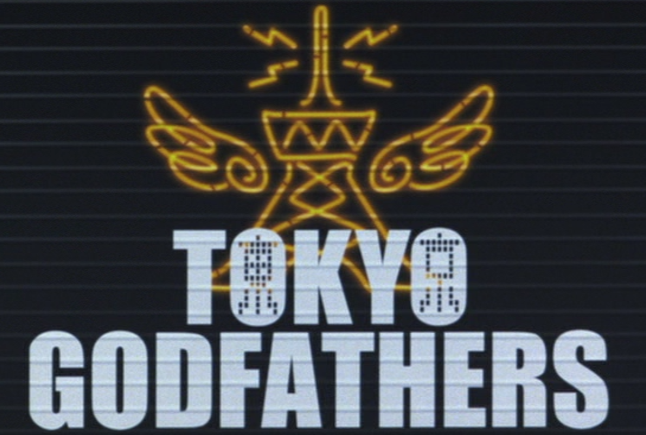 I wrote about the 1930 movie Hell's Heroes, 1936's Three Godfathers, and 1948's 3 Godfathers. I also want to include in this discussion another story--one that is definitely NOT a Western. While Tokyo Godfathers is a Japanese feature-length animated movie, it is also set in modern day Tokyo. Though much of the original details are also re-interpreted, this holiday story still focuses on three outsiders to society who find a baby that they feel they must protect at all costs. Left to right: Miss Hana, Miyuki, and Gin. 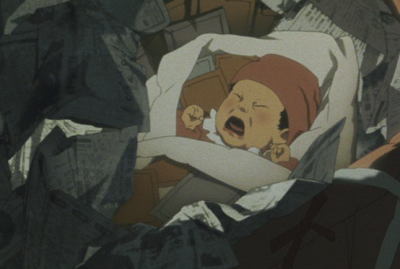 The three homeless people find an abandoned baby in the garbage. Tokyo Godfathers is the story of three homeless people who find an abandoned baby on Christmas. Hana is a former drag queen who longs to be a mother, Miyuki is a teenage runaway, and Gin is a middle-aged drunk. These three unlikely saviors find the baby amongst the trash on Christmas night and spend the week before New Year’s looking for the baby’s mother. Knowing they can't give the baby a proper upbringing, the homeless clan don't call the police but instead begin a search for the birth parents. After finding a locker key in the baby's blanket, they locate the locker and go through its contents--finding a group of photographs. Next, they set out to locate the parents' home by identifying the local landmarks seen in the background of the photos. The three outsiders know most people are offended by them--and their horrible odor. Gin, Miyuki, and Hana overcome all sorts of obstacles to help this baby which includes witnessing a mobster's attempted murder, Miyuki and the baby are kidnapped and held hostage, Gin barely survives being beaten by a group of teenagers, Hana collapses and is hospitalized for poor nutrition, and the three are almost hit by a careening truck that hits a building they just exited. 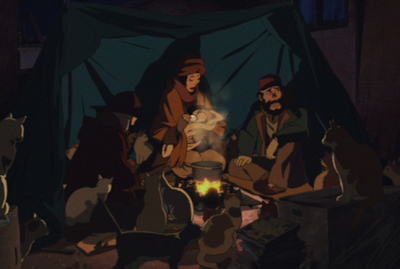 The three outsiders seek refuge for one night in a makeshift tent that is overrun with feral cats. Perhaps the most threatening event in their search is when Hana and Miyuki unknowingly hand the baby over to who they believe is the baby's birth mother--a woman named Sachiko who they later learned had snatched the baby from the real birth parents at the hospital. 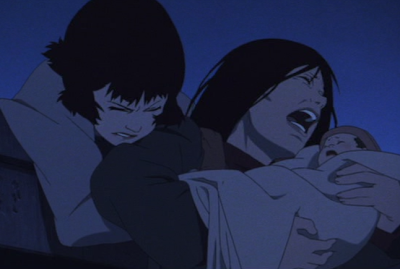 Making matters worse, Sachiko is suicidal and has the baby with her! On the rooftop, Miyuki tries to keep Sachiko from going over the edge with the baby. 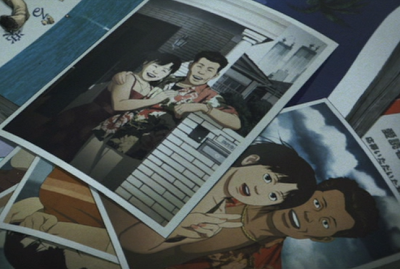 Moved by coincidences, miracles and perhaps even forces beyond explanation, Miyuki, Hana, and Gin each experience a feeling of family, forgiveness, and reunification this holiday season. The attention to detail in story and image quality make this anime something spectacular. Check out this gorgeous image--two of our urban characters standing in front of a glass block wall. Like many other Japanese-made Christmas stories, this includes just a hint of the traditions of Shinto as well. This spectacular animated feature-length movie was created by legendary filmmaker, Satoshi Kon. 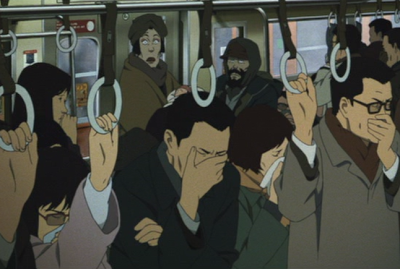 Maybe you've already seen his more popular anime film Paprika which came out in 2006? 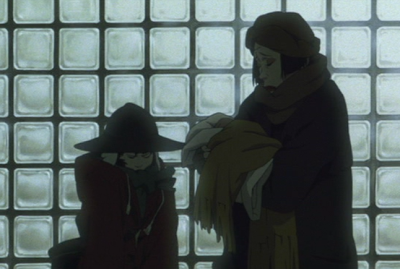 Tragically cancer claimed the life of filmmaker Satoshi Kon in 2010 however his legacy lives on in his wonderful films. 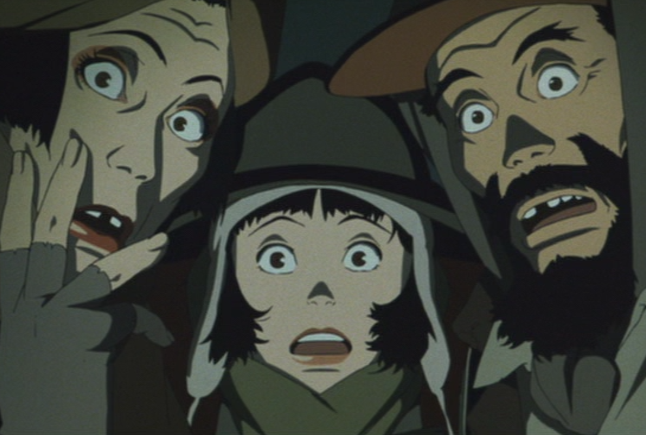 Although Tokyo Godfathers is different in a lot of the details from the other three movies I've discussed, it's still the story of three outsiders who go to great lengths to save a baby at Christmas time. 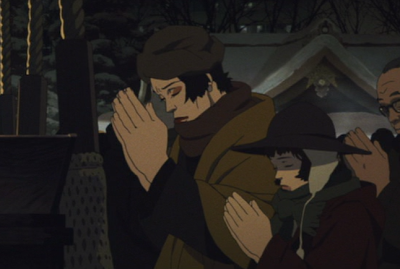 Tokyo Godfathers is a beautiful yet action-packed story not only with a happy ending but with a satisfying emotional journey as well. Christmas in July 2013: Animation!